Sense-T Tourism Tracking Project was the largest of its type in the world, both spatially and temporally and was one of the most innovative and extensive research projects ever conducted into tourist travel. Using smartphones and an app, unprecedented insights were collected on where groups of visitors go, how they move around, and what influences their decisions. As a consequence, this was the first time the ability to track how travel patterns differ according to age, home country, length of stay, reason for travel etc. Detailed information can now be seen on how long someone stands at a lookout, walks through a national park or browses an art gallery. There is significant value and impact to be had for government, industry and community as a result of this unique initiative. With help from Ionata Digital, we created a blog to share early project insights that feature some fascinating visualisations of the data we have collected. The project tracked the precise movements of almost 500 visitors to Tasmania over a period of five months, as they travelled around the state in 4 – 14 day timeframes. Tourists were approached at two local airports and on board the Spirit of Tasmania to take part in the study. They were handed smart phones which recorded accurate, real-time data of their travel patterns through a purpose built app relaying GPS location information. The app also generated pop-up surveys to capture personal insights of participants at different locations. Led by researchers from the University of Tasmania, an international multi-disciplinary research team was assembled for this innovative project, including specialists in GIS tracking and analysis, digital media marketing and decision-making, governance and evaluation, digital media use and economic valuation. The project proposal was designed in conjunction with Tourism Industry Council Tasmania (TICT), Federal Group Tasmania and Tourism Tasmania, and a wider range of industry stakeholders contributed to the project's design. Almost 500 tourists were strategically recruited at the three major entry points to Tasmania: Hobart and Launceston Airports, and at the Spirit of Tasmania disembarkation point. The cohorts specifically targeted were interstate visitors and Chinese independent travellers who spent a minimum of a week in Tasmania. Tourists were surveyed to establish socio-demographic status, knowledge of Tasmania, and cultural background. Their movement was then been tracked via our bespoke app that was loaded onto a mobile phone handset provided to each tourist. Mid-trip, a sample of tourists were surveyed regarding their use of social media and the reasons for any spontaneous decisions they made. On completing their journey, the app asked respondents questions regarding their travel behaviour and experiences. improve the visitor experience to Tasmania by allowing the provision of more timely and relevant tourist information. The project was at the cutting edge of international tourism research because GPS tracking of tourists has only been applied to small geographical areas and has only tracked movement for a limited time period, such as one day. 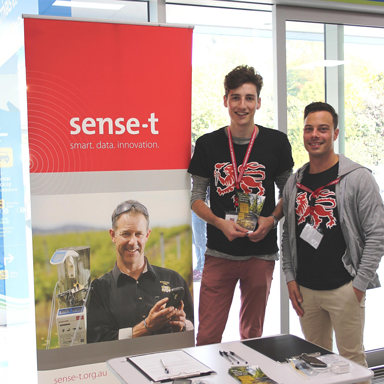 This project assisted to establish the University of Tasmania as a global leader in sensing-based tourism research. It also provides the foundations for a more comprehensive 'visit Tasmania' app which provides relevant, high quality visitor information while systematically capturing visitor travel data.